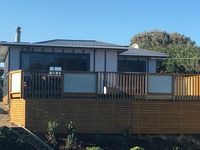 Properties in Foxton Beach average 4.6 out of 5 stars. Property 2: Our beach house! Walk to the beach. Property 11: Room for the whole family...and friends..! This Unit is a privately owned small 2 bedroom retreat. Property 17: This Unit is a privately owned small 2 bedroom retreat. Property 21: SEA ESCAPE, FUN IN THE SUN, HARD TO BEAT LOCATION! 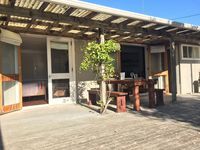 Property 32: HAPPY HAVEN has Kiwi Bach character with location. Property 38: McBach by the Beach! Great Bach for a stay away with kids. Good facilities and close to beach and playground. Great bach- everything we needed!